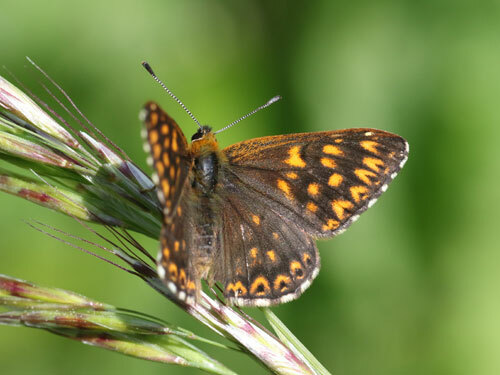 This is Europe's sole representative of the large family of metal-marks, Riodinidae. 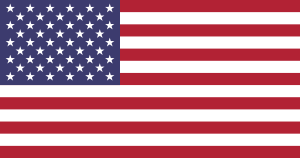 The family is best represented in south America and extends to most other parts of the world. 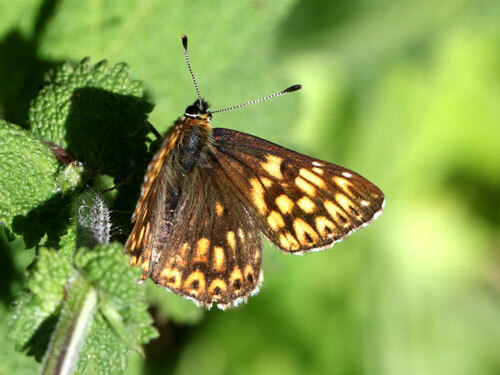 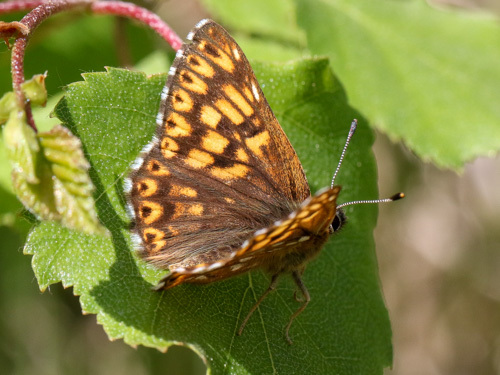 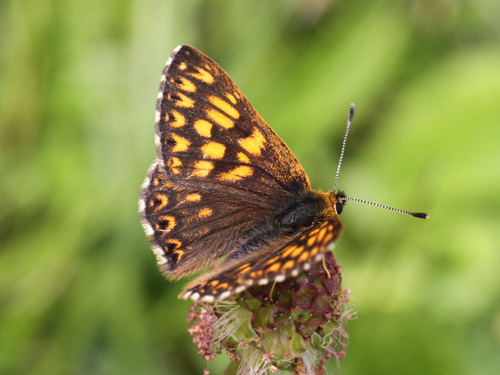 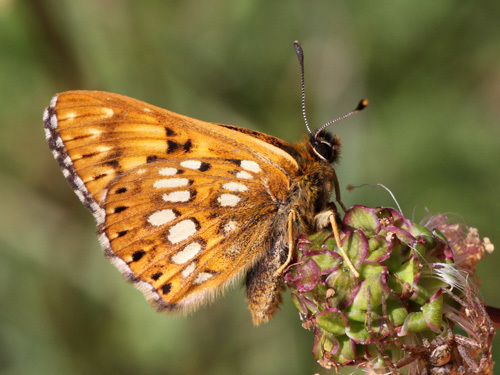 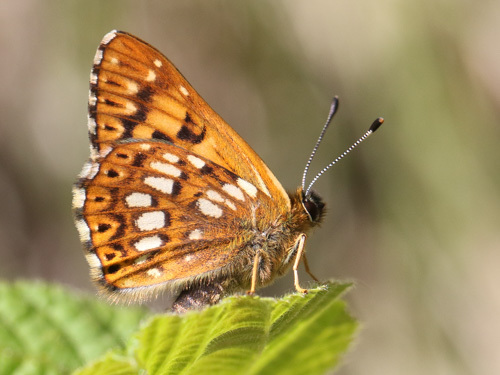 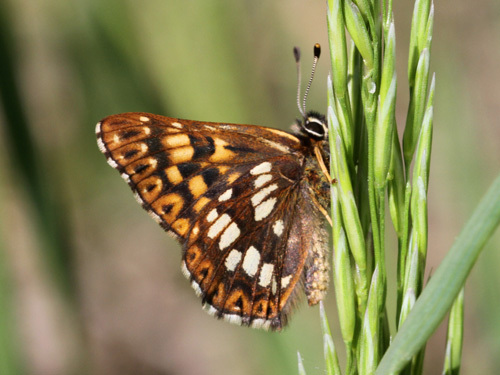 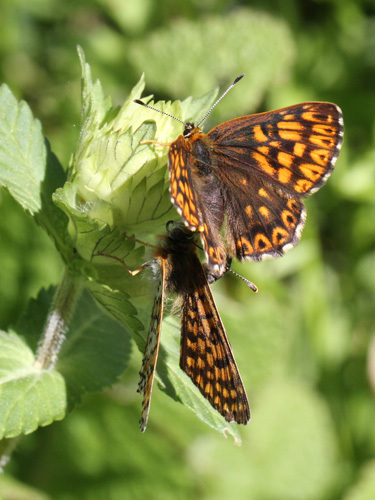 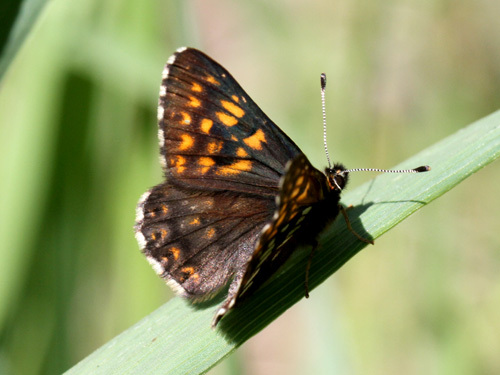 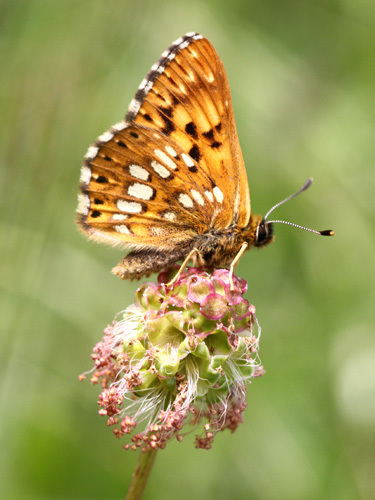 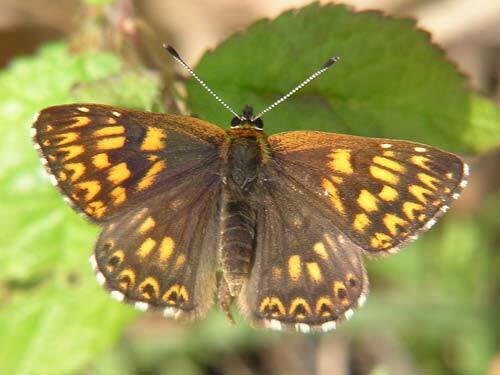 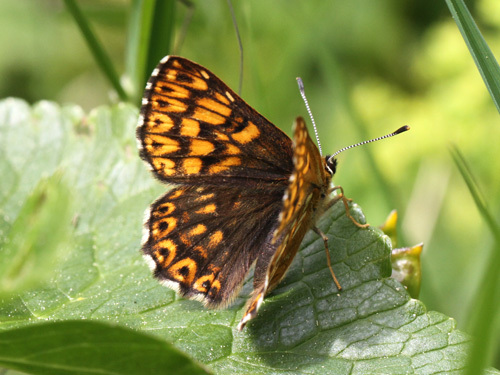 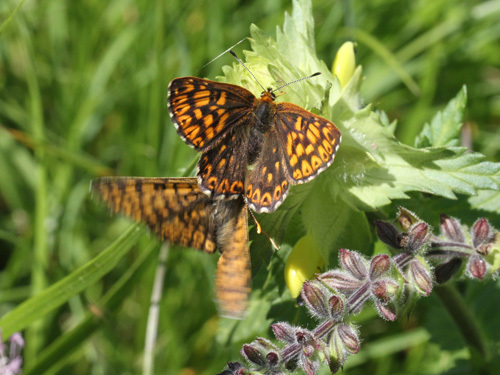 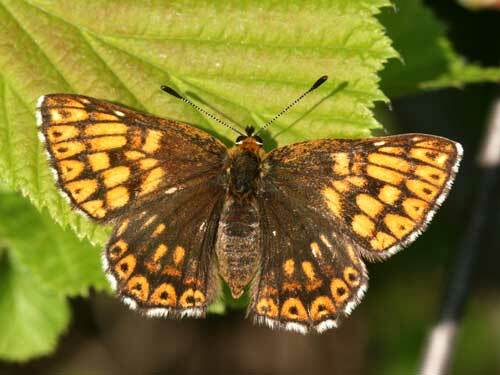 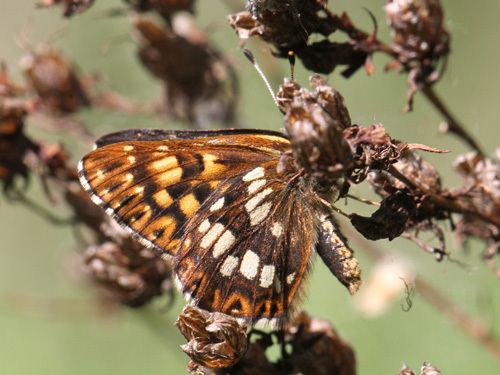 Identification & Similar species: The upperside orange and black chequered markings resemble the fritillaries of the family Nymphalidae. 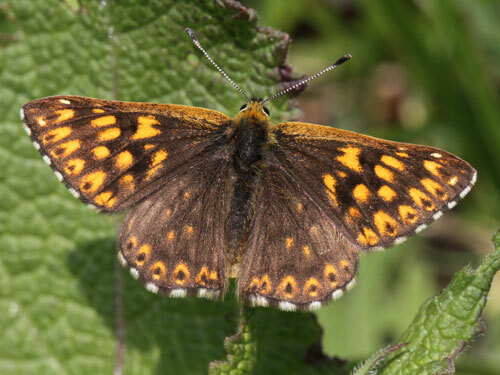 Closer inspection of the layout of the markings however should eliminate confusion with similar species. 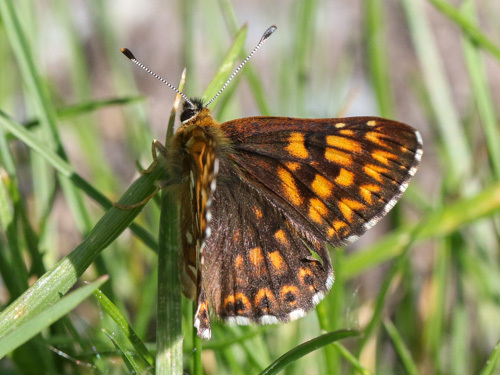 Distribution & Flight: From central Spain to south England and eastwards across most of central and southern Europe. 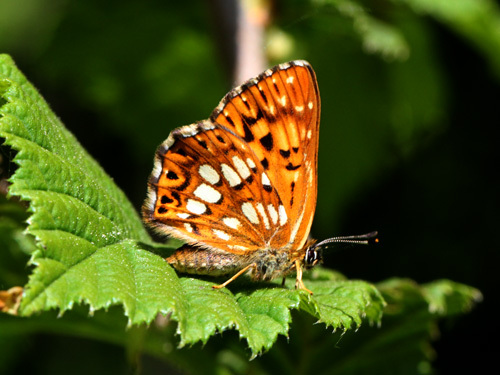 It is usually single brooded in May/ June but may also fly a little earlier with a partial second brood in summer in July/ August. 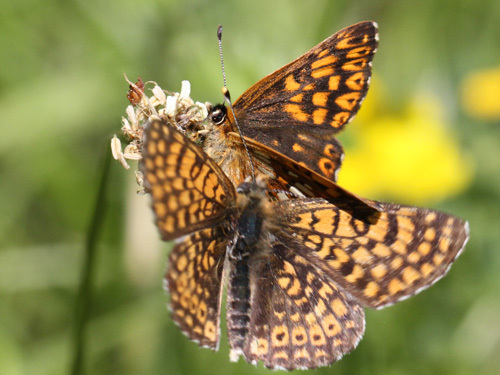 I've only rarely encountered this second brood. 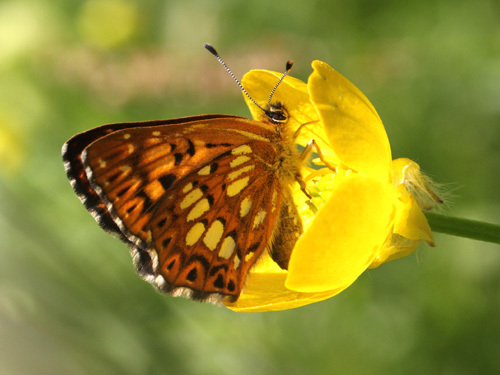 Habitat & Behaviour: Flowery places in scrubland. 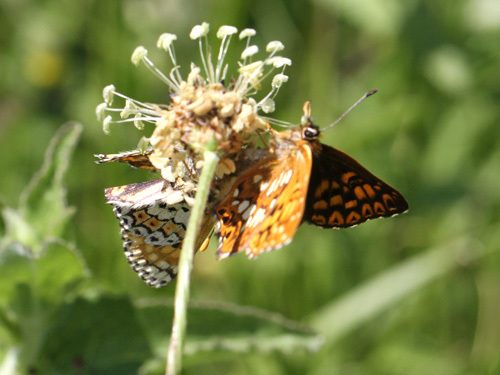 The female H. lucina has attracted a very interested M. cinxia.